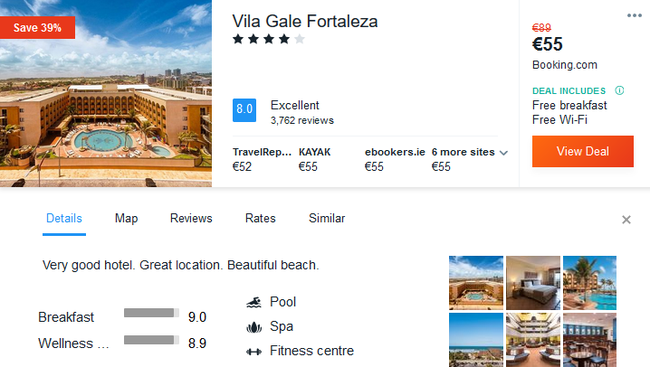 In Fortaleza you can stay at 4* Vila Gale Fortaleza. Located at just 2-minute walk from the beach, this property boasts a private seafront location, just 10 minutes from Fortaleza´s popular Beira Mar Avenue. With an impressive architecture, it features a pool, restaurants and spa. Its spacious rooms provide a balcony, air conditioning, satellite TV, Wi-Fi and minibar. Some also offer a partial sea view. Free wifi available. Breakfasts included in the price. 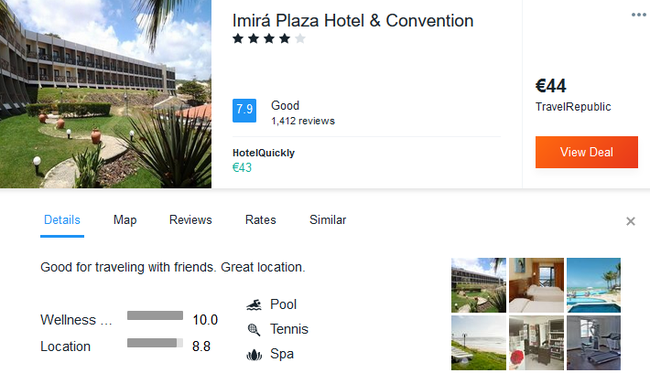 In Natal we recommend you to book 4* Imira Plaza Convetion Center with very good reviews. This 4-star hotel located in the Coastal Road of Natal, is just five minutes far from the main bars and restaurants of the city. 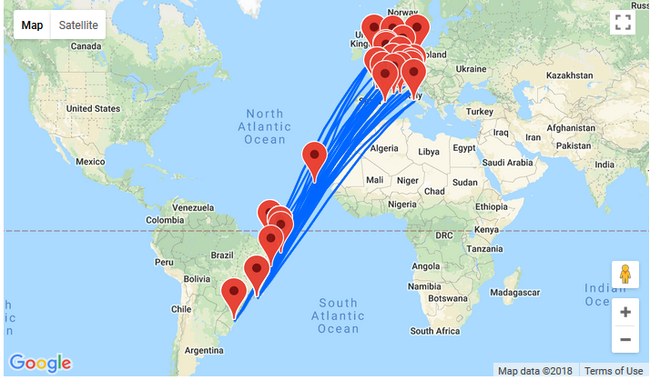 Besides, it stands at only 20 minutes from Augusto Severo Int. Make yourself at home in one of the 166 air-conditioned rooms featuring minibars. Complimentary wireless Internet access keeps you connected, and cable programming is available for your entertainment. Private bathrooms with showers feature complimentary toiletries and hair dryers. Conveniences include safes and desks, and housekeeping is provided daily. If you are a water sports lover, you should definitely visit Fortaleza. The region has not only great beaches, but also the ideal conditions to do some sailing, windsurf or kite-surf. 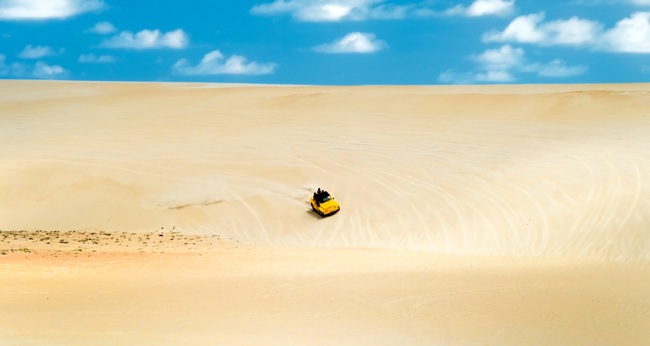 Take a ride on a buggy along the dunes at Genipabu near Natal. You can also choose a dromedary ride. Porto de Galinhas is known as an important yachting hot spot. Snorkelling is another activity you can practice here. The reefs are just a few steps of the golden sandy beach. Take a cruise to Abrolhos Islands, an archipelago off the coast of Bahia. Discover Ilha dos Poldros, an island situated by the main mouth of the Parnaíba river. The unspoilt Ilha de Fernando de Noronha is one of the most idyllic oceanic wildlife reserves in the world, perfect for ecotourism. Visit Vale da Lua, located near the Chapada dos Veadeiros National Park. This otherworldly valley is a mesmerizing landscape of rock formations that resemble the surface of the moon. About 20 minutes south of Natal, you can find the world’s largest cashew tree. Walk amidst the branches of a single giant tree that looks like a forest. 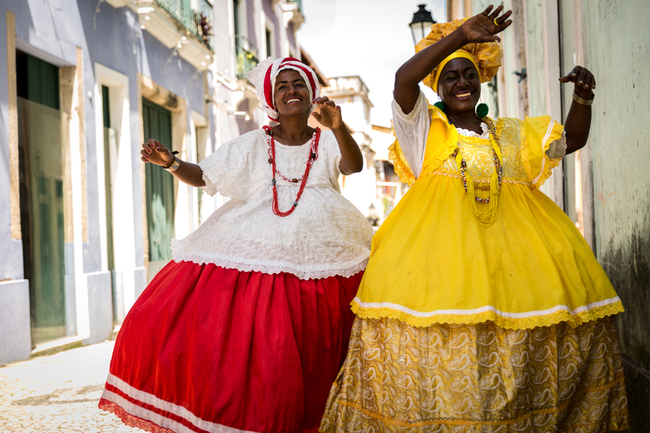 In Salvador you can enjoy vibrating street parties and concerts. The local culture is rich in African influence. 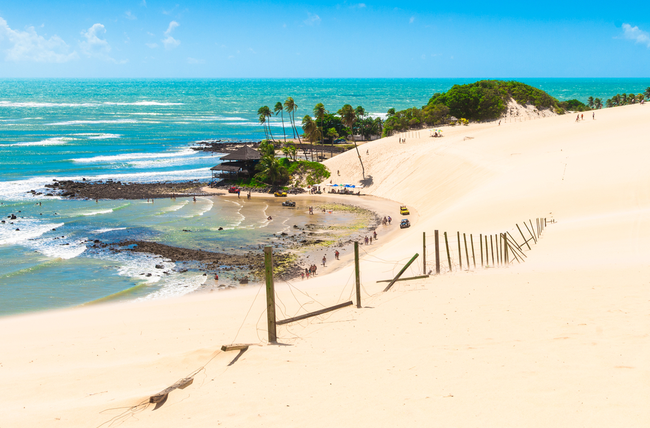 Juazeiro do Norte is one of Brazil’s most famous pilgrimage sites, located in rural Ceará. Teresina, considered to be the hottest city in Brazil, is a gateway to exploring the pre-historic remains in Serra da Capivara. Adventure enthusiasts can discover Fordlândia – Henry Ford’s abandoned rubber plantation in the middle of the Amazon rainforest. The Northeast of Brazil from Julian Moura-Busquets on Vimeo.